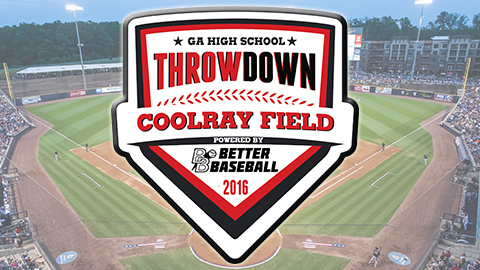 The “Throwdown Games” come to a close with a tripleheader on Saturday, February 27, with Archer vs. Mountain View at 1 p.m., Brookwood vs. Mill Creek at 4 p.m.and Collins Hill vs. Parkview at 7 p.m. Coolray Field will also host seven additional high school games from February 20 to March 19. On February 20, Discovery will play Rockdale County at 1 p.m., and Pinecrest Academy battles Hebron Christian at 5 p.m. on February 23. Flowery Branch will play Jackson County at 5:30 p.m. on February 24. North Oconee and Centennial will tangle on March 3 at 6 p.m. A tripleheader concludes the action on March 19, with Dawson County vs. White County at 1 p.m., Butts County vs. Morgan County at 4 p.m. and Buford vs. West Forsyth at 7 p.m. Tickets will be available for the February 25-27 “Throwdown Games” as part of a three-day pass for $25, on sale at the Coolray Field Ticket Office beginning Monday, February 8. Tickets will be also available at the Coolray Field Ticket Office on the day of the games. Adult tickets are $10 and student tickets with ID are $5 for the day. Opening Night at Coolray Field is set for Thursday, April 14 as the G-Braves host Norfolk for a 7:05 p.m. game. For information on ticket plans, including the new “Five and Dine” plan, call the Coolray Field Ticket Office at 678-277-0340 or visit GwinnettBraves.com/tickets.